1959 DVD for a 60th Birthday Gift. Watch this video about 1959 events to take the road back to that special time. 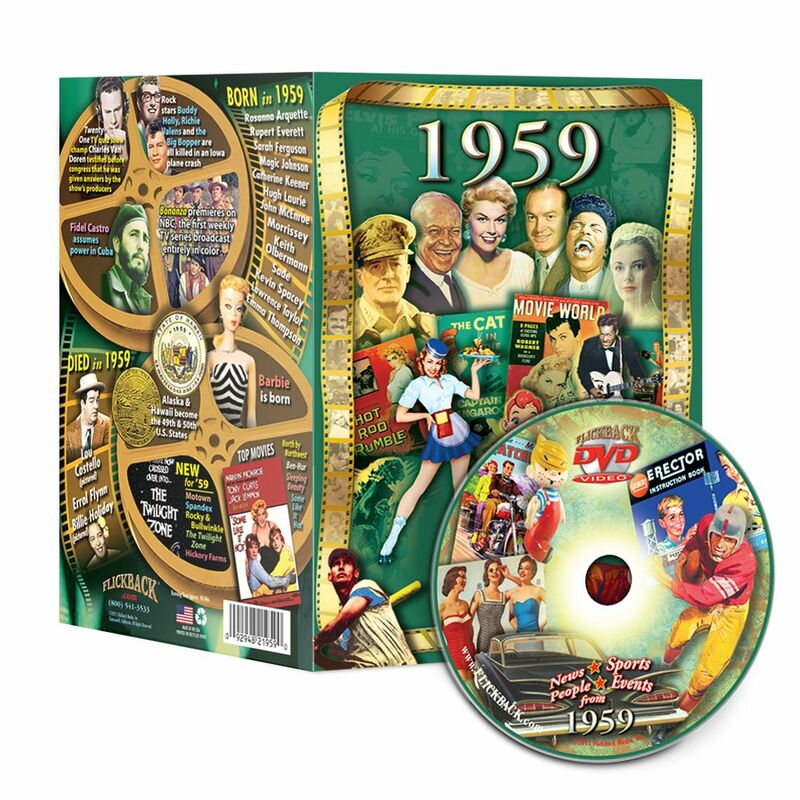 Relive your memories with this thirty minute look back to news footage, songs, stats, sports, films and more, This narrated 30 minute video is a fun way to remember the year. Perfect for a 60th present or if you enjoy the past, just view it yourself!